Summer is back with a bang and you must be thinking what trends one has to follow in the summer time. Well a lot of brighter tones are seen in the wardrobe of celebrities and as they are trendsetters we also look up to them for inspiration. However you can always manage your hairs as you like. Tying them up, or letting them fall on your shoulders, making a bun or braids out of your hair, this is all up to you. Here I am giving you little clues with these pictures of 12+ step by step summer hairstyle braids tutorials of 2016. 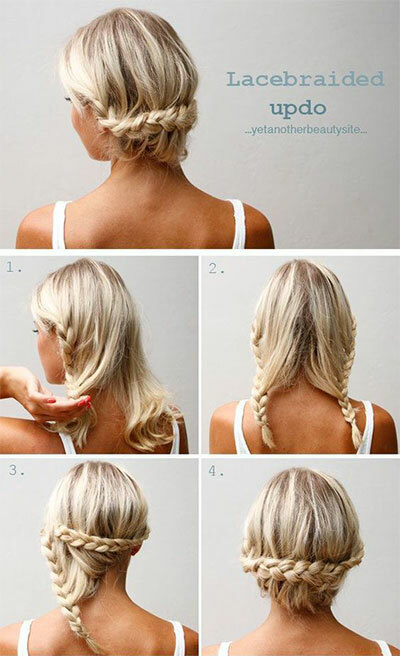 You can make easiest hairstyles sitting at home. Check these out!